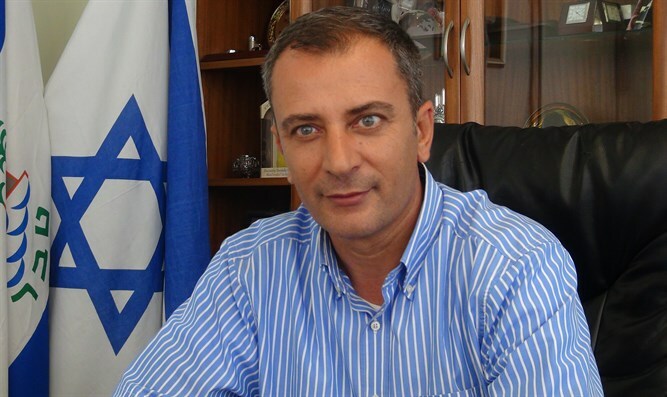 Mayor of Tiberias urges the government to wake up and prepare for a strong earthquake. The mayor of Tiberias, Yossi Ben David, on Wednesday evening urged the government to introduce and implement an orderly plan to strengthen buildings against severe earthquakes. "No one knows when an earthquake will occur and how powerful it will be. It is even more difficult when you wake up to such a tremor from your sleep at ten to five in the morning," Ben David told Arutz Sheva. "I spoke today with Housing and Construction Minister Yoav Galant, and I also turned to the Education Ministry and asked that they increase the effort and assistance to strengthen buildings and schools against earthquakes. For us, the problem is more difficult because there is old construction and it will be damaged and will not withstand an earthquake," he continued. Ben David said he believes that Tiberias is in one of the focal points for earthquakes. "The topography of Tiberias is not flat, and the history of earthquakes in the region shows that. Even in terms of economics, it is preferable to invest a billion shekels in an orderly program to strengthen buildings and homes rather than, God forbid, dealing with loss of lives and billions in damages,” he concluded. Ben David’s comments follow two earthquakes which were felt in northern Israel on Wednesday. The first one, which was felt around 5:00 a.m., measured 4.1 on the on the Richter scale. So far there are no reports of injuries or damages from either earthquake. Last November, Israelis across the country felt an earthquake which originated on the Iraq-Iran border.